Hong Kong was a great first destinationÂ for us. Ruby said it was like the tutorial level of the trip, which I think is very accurate.Â Every sign was in both Chinese and English, most people understood English, and the city servicesÂ were top notch. Kate says it’s the best bus system she’s ever experienced. We all had an excellent time. We arrived at our hostel (YesInn at Causeway Bay) late at night after more thanÂ 25 hours of being awake,Â a record for Ruby. The first few days we were pooped by late afternoon but still managed to have some fun. 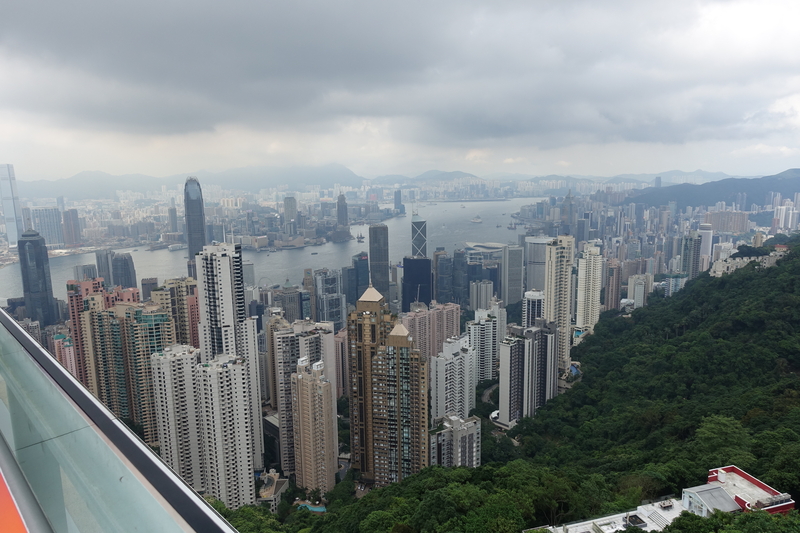 Our first destination wasÂ Victoria Peak, a breathtaking viewpoint overlooking the city. While there we stopped at the Trick Eye Museum, a series of forced perspective murals that made for excellent photographsÂ (you canÂ read more about itÂ in this post by Ruby). The Hong Kong Science Museum was also greatÂ with lots of interactive exhibits and a pleasantly perplexing mirror maze. Surprisingly, the hostel was fully booked so we couldn’t extend our initial 3-day reservation. We made a last-minute reservation at Bishop Lei International House to be close to theÂ longest outdoor covered escalator system in the world. This turned out to be a great choice: Ruby loved having a pool and the views were stunning. The escalators were convenient (though only ran one way at a time) and the area around them was fun to explore. 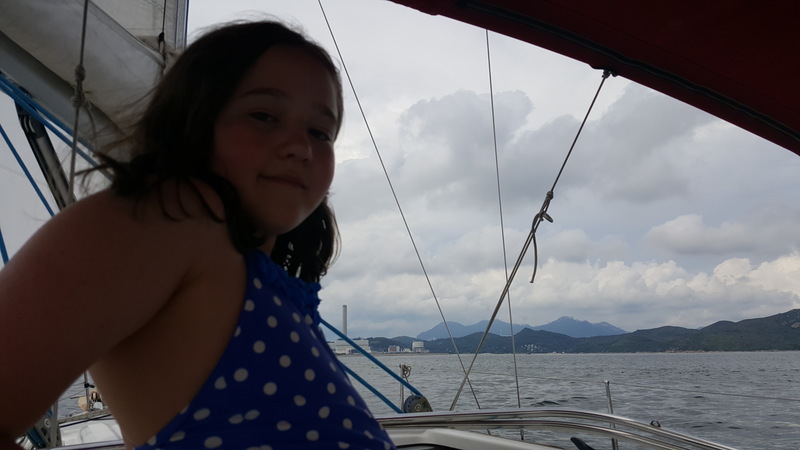 We took a day trip to Aberdeen to sail around Lamma Island for 4Â hours. It was interesting to see the old Chinese fishing boats and schools of fish jumping out of our way as we passed. Toward the end of the sail the local crew started to get nervous about a big storm approaching, so we had some exciting times trying to outrun that, but in the end got out before the rain arrived. One thing we realized pretty quickly is that we need to intentionally make time to doÂ personalÂ business: write blog posts, organize pictures, and plan upcoming travel and activities. We spent a couple mornings just sitting in ourÂ room, which sounds bad but is actually a nice respite fromÂ active traveling. We’llÂ probably plan to have a few hours of “business time”Â every few days throughout the trip. 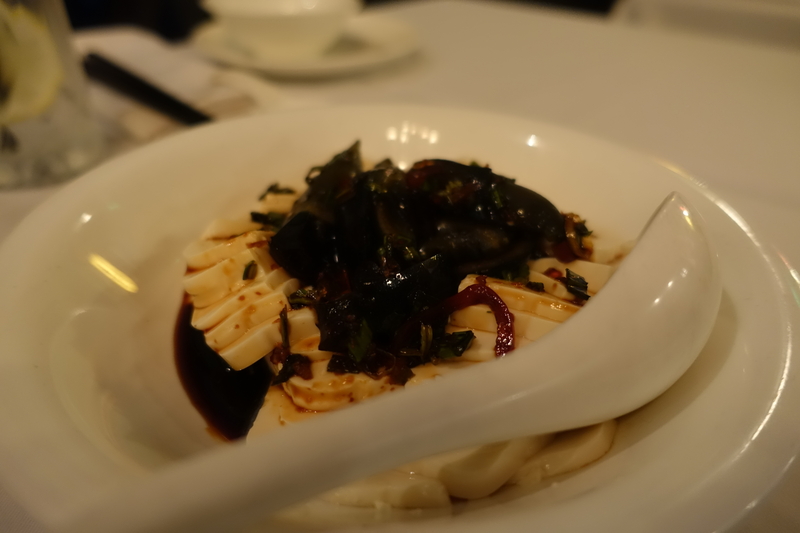 Our final meal in Hong Kong was at The Monogamous ChineseÂ on the escalator line. While there I accomplishedÂ a long-standing foodÂ goal: try aÂ century egg. It looked even more unappetizing in person, presenting as a deep green-black, but ultimately tasted like a slightly richer-than-normal boiled egg. Kate and Ruby thought it was pretty mild too. I’ve made an informal commitment to try as many unusualÂ foods as possible,Â and this was a pretty good first experience. Now on to Myanmar! It’ll be a big change from the creature comforts and urban familiarity of Hong Kong, but it’s one of the destinations I’m most excited about. P.S. If you’re interested in following along with us more closely, we update our online photo album almost daily. Kate’s book recommendation: I like to read books set in the places I visit for additional context, history, and color. For Hong Kong, I recommend the short story “Good Hunting” by Ken Liu. It’s in his short story collection The Paper Menagerie and Other Stories, which is excellent from beginning to end.